Within the span of a few short weeks, three of Crested Butte’s own took their lives. In the wake of these tragedies, a coalition—CB Hope—has formed to address the needs of the community with public trainings, discussions, and new resources for those struggling with depression and contemplating suicide. “We need to be responsive now and we want to get this done,” says Nancy Osmundson, facilitator and organizer for the grassroots group, who helped organize the initial Community Crisis Coalition that was held on Friday, May 11, along with Kathy Napoli, a mental health professional in the valley. According to Osmundson, approximately 50 community members and business owners attended the first meeting on Friday, during which they decided to rename the group CB Hope. The goal for the organization is to offer trainings for community members, including prevention, intervening in a crisis and how to talk to those contemplating suicide. The trainings will be free, and the hope is for a broad range of community members to participate, but especially those in the restaurant and bar industry, and business owners who have customer-facing positions. “Restaurant and bar owners and staff overhear a lot, and hear people struggling, but don’t have the appropriate tools to assist,” says Osmundson, which is why engaging this group of locals is a priority for CB Hope. During her time as executive director of the Gunnison Valley Health Foundation, Osmundson was called to action during a season of high teen suicides in Gunnison. “I organized the heads of all the major community organizations involved with or affected by those suicides to communicate about what services we offered and implement new services,” Osmundson said. At that time, Osmundson raised funds to establish the “comfort room” at Gunnison Valley Hospital, a space for mental health patients having an acute crisis but who are not posing a threat to themselves or others. 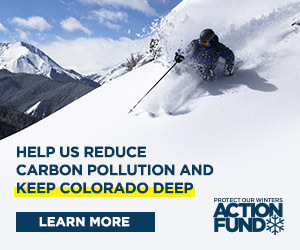 “Crested Butte has its own needs and challenges, so Kathy Napoli and I decided to challenge and facilitate the wonderful people of this community to respond and take action,” explained Osmundson. One solution proposed at Friday’s meeting is to offer a local number for people in crisis to text, with trained community members on the other end who can show up, ask questions and respond immediately. “We want people who live here and who have lost people here to drive what we do, what they need, and what they can contribute,” said Osmundson, who has other ideas for Crested Butte in particular. “I think we need education and training for people in prevention and intervention, for anyone who wants it, and I think we need to get every bit of information for crisis assistance out there,” said Osmundson. Numerous trainings will be offered across the valley in the near future, including: “Suicide Prevention and Firearms” and “Talk Saves Lives,” presented by Chris Peterson, organizer of Out of the Darkness Suicide Walk in Gunnison; “Mental Health 101” and “Safe Talk,” through the Center for Mental Health; and “Question, Persuade and Refer,” through Western State Colorado University. Osmundson also hopes to provide restaurants and bars with coasters that have crisis numbers on them. “The participants drive the ideas and Kathy and I facilitate things happening through our skills and experience. We want to capture the passion and act/respond as quickly as possible,” concluded Osmundson. The next meeting for CB Hope is Saturday, May 19 at 9 a.m. at 302 Elk Avenue, Suite 101 A. Trainings are currently being scheduled, with the goal to launch the first two during the week of May 21. You can stay up to date on upcoming meetings by liking CB Hope on Facebook. You may make donations to CB Hope through Bank of the West, which will directly fund resources for suicide prevention in our community, including trainings and other solutions. For more information call Nancy Osmundson at (970) 901-5068. Anyone in crisis can call the Center for Mental Health crisis number at (970) 252-6220.